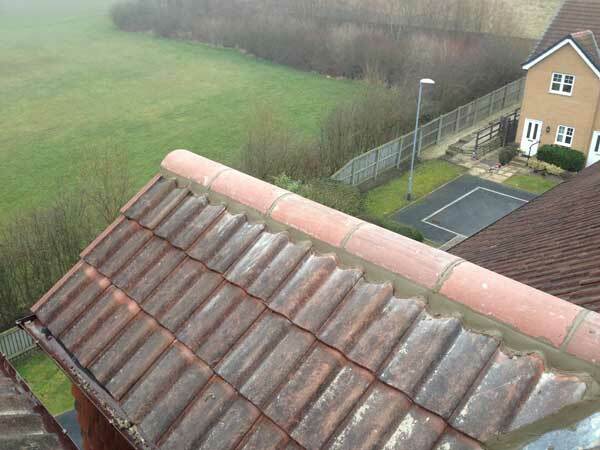 Specialists in Slate and Tile Roofing and repairs in Huddersfield, West Yorkshire. Slate and tile new roofs, re-roofs and roof repairs. Slates and Tiles are used on most homes and business properties across the UK. There are many types of roof tiles but the ones used most frequently are Welsh Slate, Yorkshire Stone Slates and Concrete roof tiles. 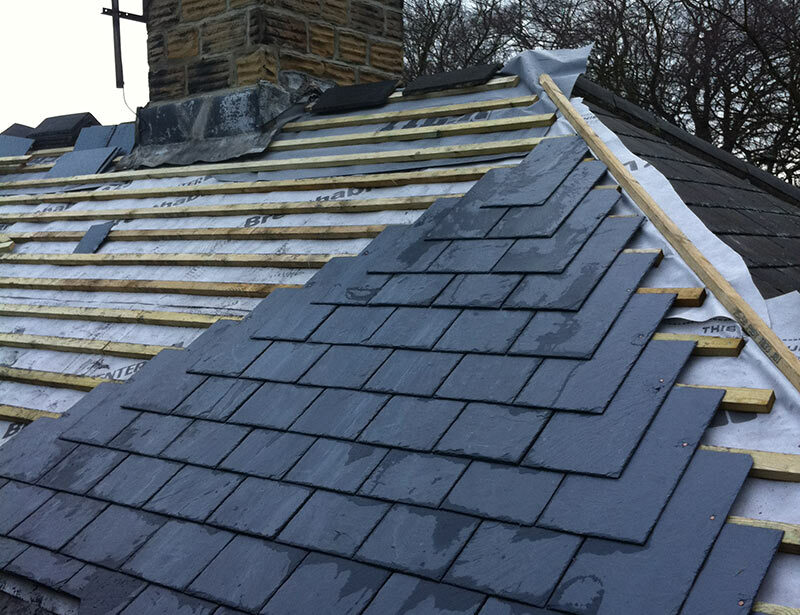 Welsh Slate and Yorkshire Stone Slates are very strong, traditional roofing products that enhance the visual appearance of any property but most importantly provide a watertight barrier against the elements for many years. 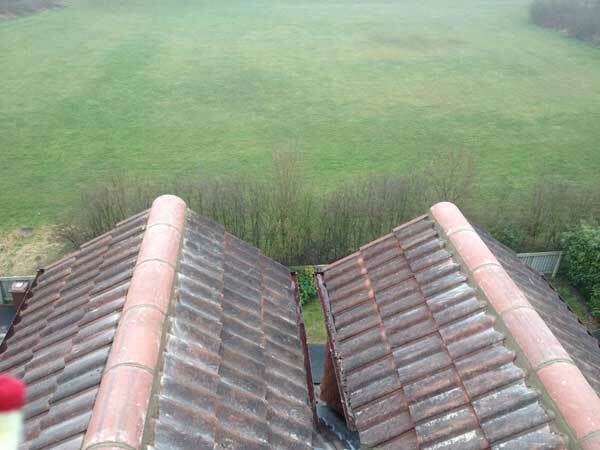 It is essential to keep your roof well maintained and to replace any broken, loose or missing tiles as soon as you notice them. 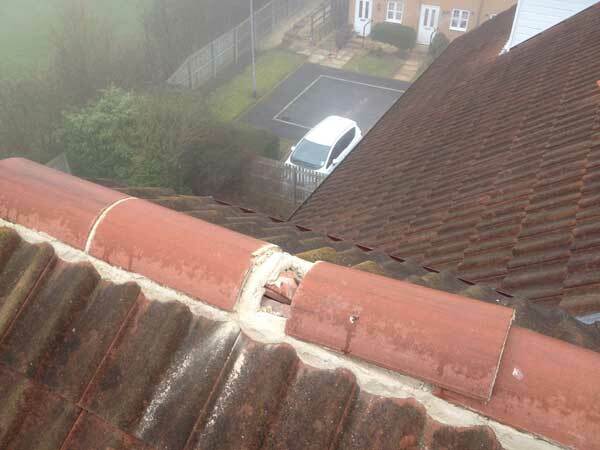 This will ensure water doesn’t enter your loft space and run onto your roof timbers – which would eventually lead to a more expensive repair. Concrete Roof tiles are a very cost effective, low maintenance roofing solution and have become widely used on new build projects and refurbishments. There is a vast array of colours and sizes available to match and enhance your property. All our staff members are fully qualified Chas Accredited and hold NVQ Level 3 in Roofing. 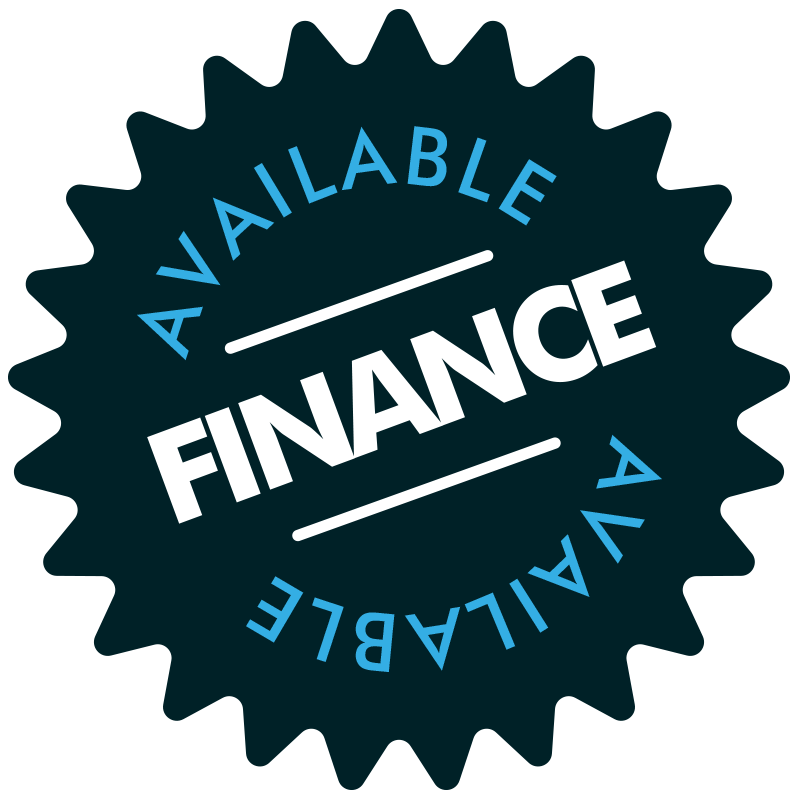 We always arrive on-site presentable, polite and approachable and are always ready to answer any questions you may have. Hurricane roofing Solutions are proud members of the guild of master craftsmen. Hurricane roofing provide a 24 hour emergency roofing call out service and will be on site to repair your roof damage within 2-3 hours depending on where you live.